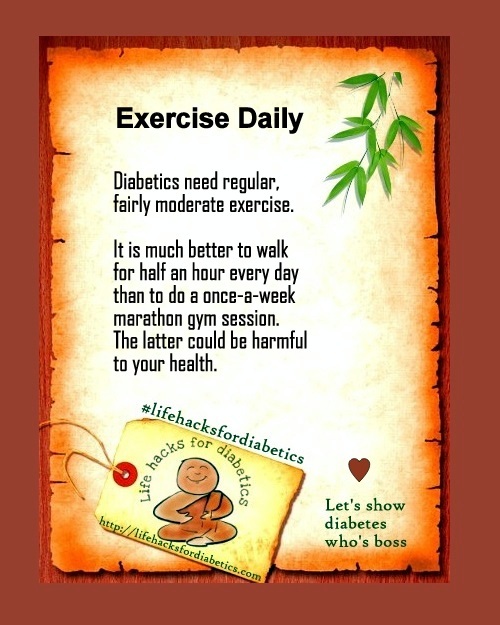 All diabetics need regular, fairly moderate exercise. It is much better to walk for half an hour every day than to do a once-a-week marathon gym session. The latter could in fact be harmful to your health. So do it every day!